1st: M Bourn homered to right (400 feet). 3rd: M Bourn doubled to deep center. 5th: M Bourn grounded out to pitcher. 8th: M Bourn homered to center (411 feet). 1st: M Prado struck out swinging. 3rd: M Prado popped out to first. 6th: M Prado singled to left. 8th: M Prado flied out to left. 4th: F Freeman singled to deep center, F Freeman out stretching at second. 6th: F Freeman struck out looking. 8th: F Freeman flied out to left. 1st: D Uggla flied out to right. 6th: D Uggla fouled out to catcher. 9th: D Uggla struck out swinging. 2nd: J Heyward struck out swinging. 4th: J Heyward doubled to deep right, D Uggla scored. 6th: J Heyward struck out swinging. 9th: J Heyward struck out swinging. 2nd: J Francisco struck out swinging. 4th: J Francisco popped out to second. 7th: J Francisco flied out to left. 9th: M Diaz safe at first on error by third baseman M Cairo. 2nd: D Ross struck out looking. 4th: D Ross flied out to center. 7th: D Ross struck out swinging. 9th: D Ross lined out to shortstop. 3rd: T Pastornicky grounded out to pitcher. 5th: T Pastornicky grounded out to second. 7th: T Pastornicky fouled out to first. 3rd: B Beachy flied out to left. 5th: B Beachy struck out swinging. 8th: E Hinske struck out swinging. 1st: Z Cozart popped out to catcher. 3rd: Z Cozart homered to center (407 feet). 5th: Z Cozart struck out looking. 8th: Z Cozart flied out to center. 1st: D Stubbs reached on infield single to shortstop. 3rd: D Stubbs grounded out to shortstop. 6th: D Stubbs popped out to second. 1st: J Votto flied out to center, D Stubbs to third. 3rd: J Votto grounded out to second. 6th: J Votto singled to left. 8th: J Votto struck out swinging. 1st: B Phillips homered to center (424 feet), D Stubbs scored. 4th: B Phillips homered to right (386 feet). 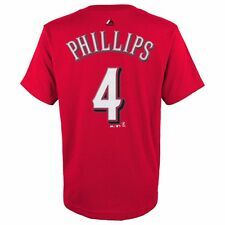 6th: B Phillips grounded out to second, J Votto to third. 8th: B Phillips grounded out to pitcher. 1st: J Bruce grounded out to second. 4th: J Bruce grounded out to second. 6th: J Bruce struck out swinging. 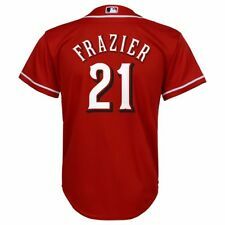 2nd: C Heisey grounded out to shortstop. 4th: C Heisey grounded out to third. 7th: C Heisey singled to center. 2nd: M Cairo flied out to right. 4th: M Cairo flied out to center. 7th: M Cairo popped out to shortstop. 2nd: R Hanigan flied out to center. 5th: R Hanigan flied out to center. 3rd: M Latos struck out looking. 5th: M Latos struck out swinging. 7th: M Costanzo struck out swinging. 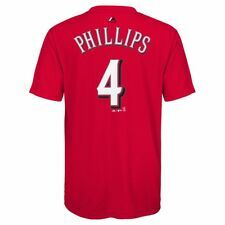 Brandon Phillips drove in three runs with a pair of homers off Brandon Beachy on Tuesday night, leading the Cincinnati Reds to a 4-3 victory over the Atlanta Braves in another game of all-or-nothing.